We recommend American Receivable as the best factoring service for small business. 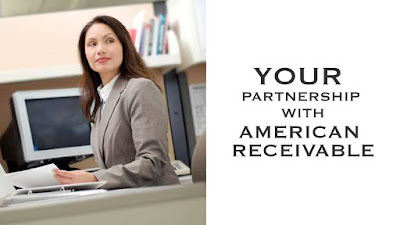 We chose American Receivable from among dozens of factoring services. To understand how we made our decision, see our methodology and a list of factoring services on our best picks page. American Receivable has been in the factoring game since 1979, offering flexibe short- and long-term factoring services at competitive rates. Minimum requirements are not onerous, meaning small businesses with low revenues or experiencing difficult qualifying with other providers will likely qualify. American Receivable also ensures fast funding. American Receivable's fees start at 1 percent of the total invoice value. There are no application, maintenance or early termination fees. The company initially pays 95 percent of invoice values up front, sending in the balance after customers pay. American receivable is also a nonrecourse factoring service, so you are not responsible for any unpaid invoices. American Receivable makes it easy for small businesses of all types and with all credit ratings to qualify for factoring. The company will look at your business as a whole, whereas many factoring companies require you to meet a set of rigid minimum requirements before they will even look at your application. First, we like that the company focuses on your customers' creditworthiness, not your business's revenues or credit history (or your personal finances or credit score). Although the company does require financial information about your business, this is not the sole consideration as to whether you get approved. This makes American Receivable ideal for small businesses, whose numbers typically automatically disqualify them from most factoring companies but who need a factor to help them with those numbers in the first place — it's a catch 22 of sorts! Another reason we like American Receivable is that it offers generous factoring terms, allowing the company to truly help your business with its cash flow needs. Many companies limit the number of invoices you can submit and the dollar amount of those invoices, particularly if you are a small business. However, American Receivable does not have any minimum requirements and can fund up to $4 million in invoices for a single business. American Receivable also wins when it comes to flexibility. Whereas many factoring services won't accept invoices that are more than 60 days past-due, American Receivable goes the extra mile by approving invoices that are up to 120 days past-due. This makes perfect sense for small businesses that wish to get both past-due and delinquent accounts off their hands and quickly turn those accounts into cash. There are two ways to submit an application to American Receivable: online or via fax by printing out the PDF form. The easiest way is to submit the application online. It is a comprehensive application, so you'll need legal information, such as your business's name and any DBAs ("doing business as" names), your business structure, and your federal ID number. You'll also have to provide information on all officers, owners and directors of your business; indicate any changes in ownership or business name in the past 12 months; and describe any issues, such as lawsuits, bankruptcies and back taxes owed. American Receivable will also need details about your receivables and banking information. This includes the number of invoices and the average amount to be factored every month, if other invoices have been factored in the past, and any past due taxes or liens. We like that American Receivable allows you to submit these files electronically. You have the option of attaching them to the application form or sending them separately in an email. This will save you a ton of time over having to fax or physically mail these documents, which some factoring services require. Typically, American Receivable will process your application within 24 hours. 0 Response to "2017 Review For American Receivable: Best Factoring Service for Small Business"